This January, in tandem with our pre- and post-natal kinectED workshops, we will play host to a series of BodyMind Baby classes taught by Scott Lyons. BodyMind Baby developmental movement education classes help facilitate optimal brain and body development for babies from birth to walking age. The classes are an innovative blend of body-mind philosophy and developmental movement education to build the brain, body, and joy of each baby! This four week series will help with digestive problems, sleep issues, comfort and soothing, chronic crying, colic, birth stress as well as providing parents with a place to come together and share challenges and successes with their babies. 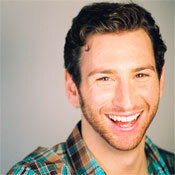 Check out Scott’s bio & learn more about BodyMind Baby.